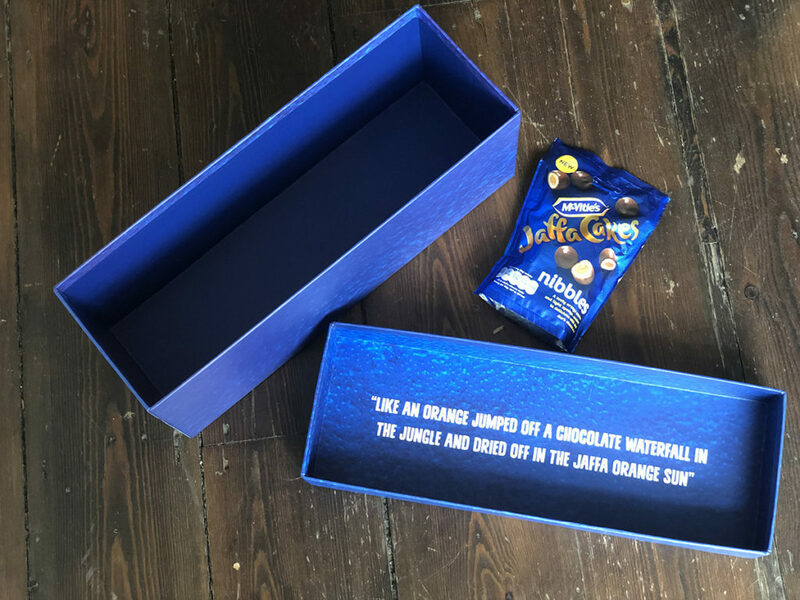 Packaging Works recently developed bum bag boxes (yes, you heard that right) as part of an outreach campaign for McVitie’s new product, Jaffa Nibbles. 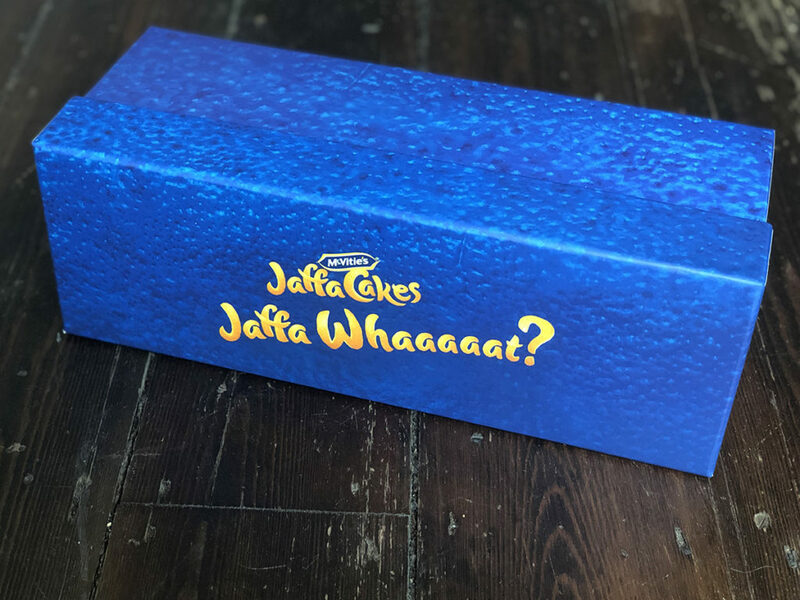 The brief: Packaging Works was commissioned to design and create custom boxes for an influencer outreach campaign on behalf of McVitie’s. Packaging Works was brought in as part of an outreach campaign that involved sending out samples to influencers and top tier media. The packaging: The packaging required was for a gift box to hold a bespoke, branded bum bag that was developed by Joey Essex! #ad I’ve teamed up with McVitie’s to design this REEM bum bag, so you can enjoy your Jaffa Cakes Nibbles wherever you go! 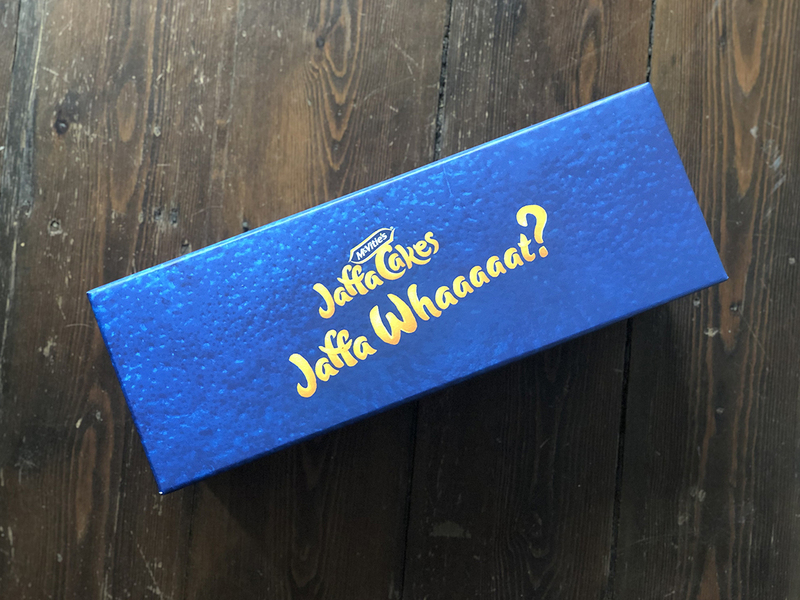 For a chance to win your own bum bag full of Jaffa Cakes Nibbles, let me know how you would describe them in the comments below using #JaffaWhaaaaat and follow @jaffacakesofficial … I think they’re like an orange jumped off a chocolate waterfall in the jungle and dried off in the Jaffa orange sun! Competition runs from 21st – 25th March 2019. T&Cs in bio. The gift box needed to be branded to match the ever-so-fashionable branded bum bags and to hold samples of the sweets as well as one bum bag in each. The style needed to mimic high-fashion packaging to coordinate with the tongue-in-cheek campaign! Our finished product: A bespoke, rigid, paper over board presentation box, branded with full colour litho printing inside and outside with a matt laminated finish. Interested in creating influencer outreach boxes with help from our bum-bag-box expert team? Contact Packaging Works online.